This is one of my favourite breakfast foods. The recipe is very good and easy . 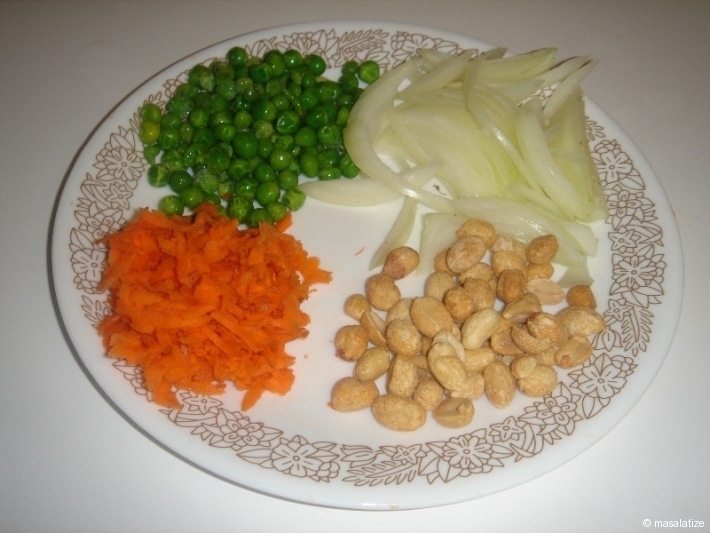 Grate the carrot and cut the onion . Heat the oil then pour Cumin seeds. Be careful not to burn , just toast to flavor the oil. 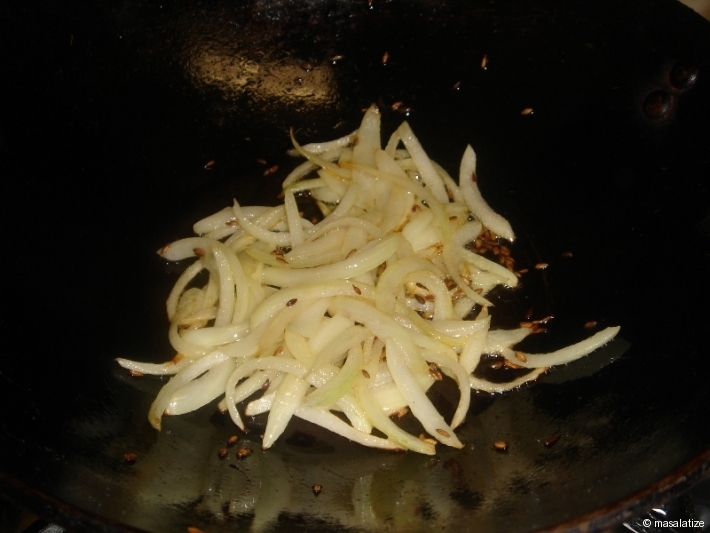 Add Onion and fry until it browns. 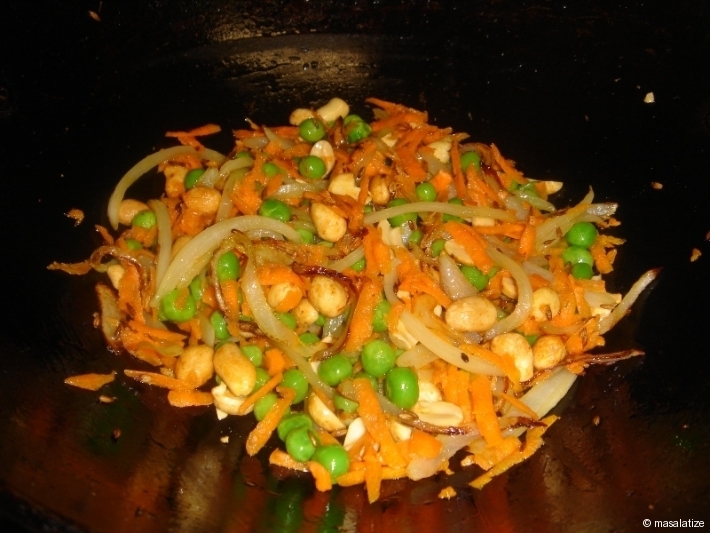 Then add grate carrot, peanuts, green peas together and stir well. Add turmeric powder, salt and sugar to taste . 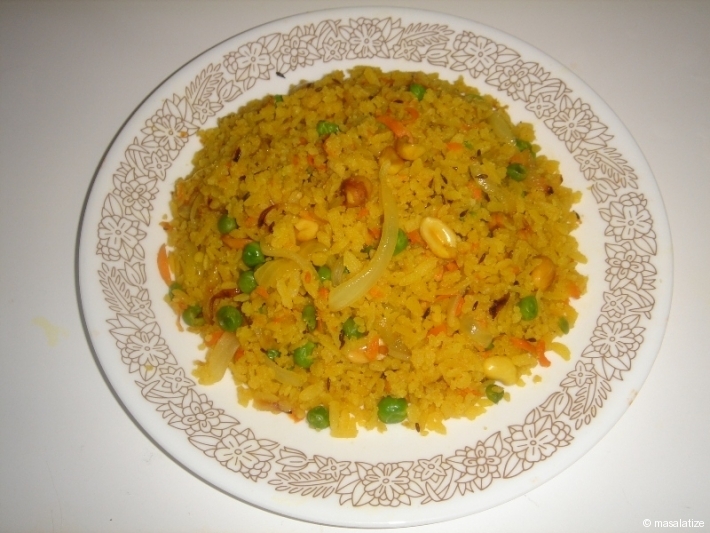 Drain the poha completely to remove all water and add it. Stir well to blend all ingredients.